Naturally grown&seasoned.Another special Mackie's product to tickle your taste buds! Mackie's have teamed up with another Scottish family farming business, Taypack. They know a lot about tatties, we know a lot about taste buds! 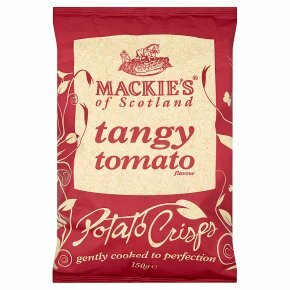 Mackie's have created the perfect Scottish crisp thanks to our award winning traditions, natural flavourings and the star ingredients - locally farmed potatoes!Made in Scotland with locally farmed potatoes.Made with natural flavourings.Unique gentle cooking process.Mackie's crisps are magic - eat one and the rest disappear!